Chau Giang (foreground, left) shows up to Event #44 ($2,500 Mixed Hold'em) to congratulate Erick Lindgren (center) on Gavin Smith's deep run at the final table. Lindgren and Smith are very close friends, and Lindgren is one of his biggest supporters. 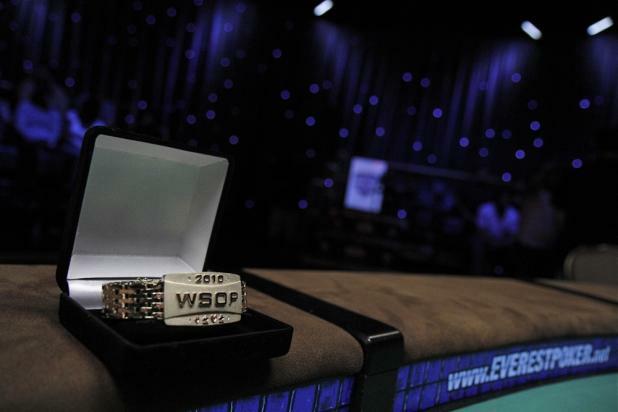 The audience for Event #44 ($2,500 Mixed Hold'em) was one of the most energetic of the WSOP, with most of them rooting for Gavin Smith. Smith would later say, "At the start, there were not that many people. All of my friends are drunks who show up late. 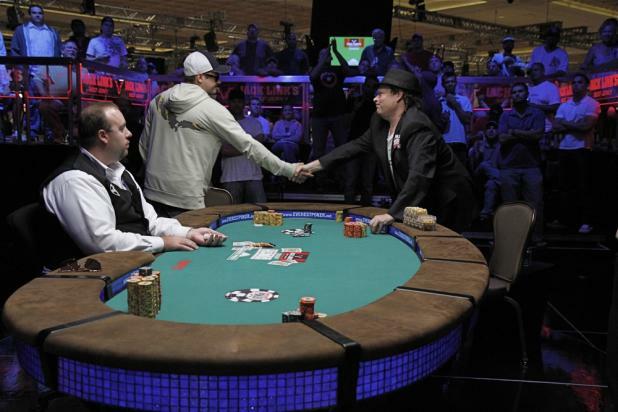 It was actually a very cool final table. Some of the other players had cheering sections. Once it got heads-up, there were more people probably for me than Dan [Hannawa], but I think that's a testament to the fact that I'm an old man who has been around a long time and I live here and have a lot of friends around here. Danny Hannawa stares down Gavin Smith as they battle heads-up for the bracelet in Event #44 ($2,500 Mixed Hold'em). 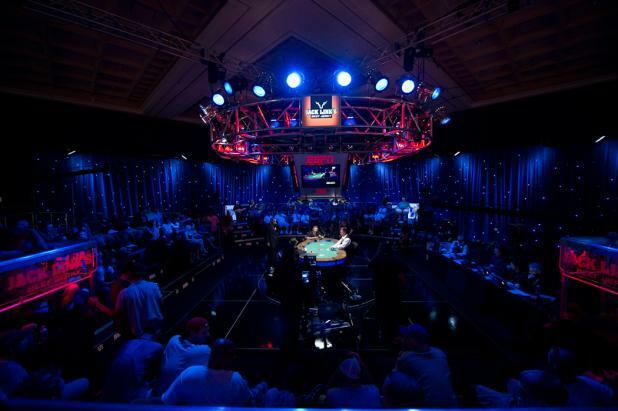 At most final tables, the crowd thins out as players are eliminated, taking their friends and families with them. But for Event #44 ($2,500 Mixed Hold'em), the crowd grew bigger as Gavin Smith got closer and closer to his first WSOP bracelet. Danny Hannawa (left) congratulates Timothy Finne after eliminating him in third place in Event #44 ($2,500 Mixed Hold'em). Finne was short-stacked and all in with 8-6 against Hannawa's A-J, and the better hand held up to win the pot. 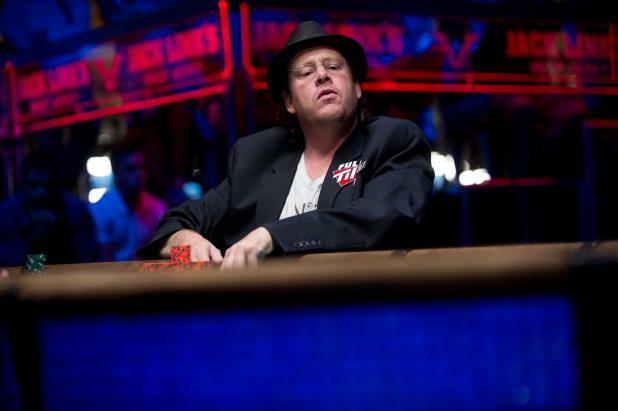 With three players remaining in Event #44 ($2,500 Mixed Hold'em), Gavin Smith remains focused on his goal of winning a WSOP bracelet. 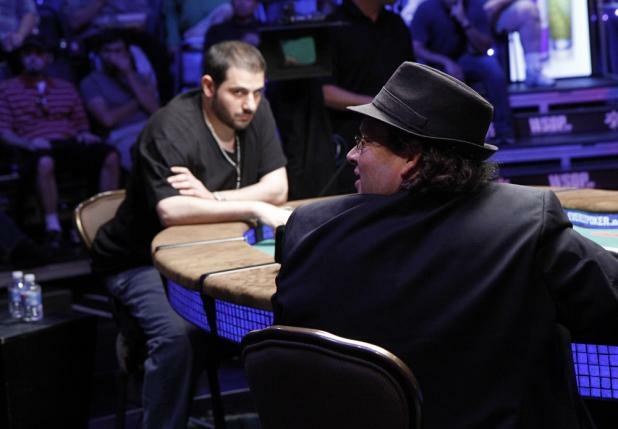 Smith had come close to a bracelet once before, finishing second in $1,500 Pot-Limit Hold'em back in 2007. 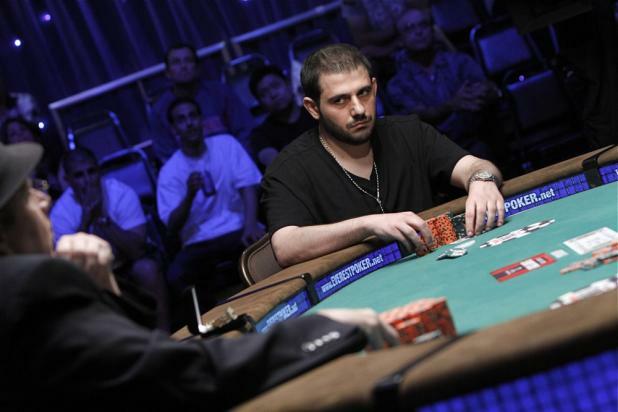 Danny Hannawa (left) faces off against Timothy Finne at the final table of Event #44 ($2,500 Mixed Hold'em). 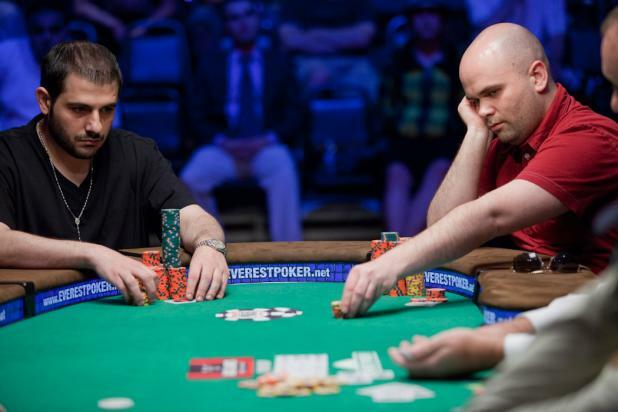 Hannawa and Finne reached the final three, and were both hoping to outlast Gavin Smith to win their first WSOP bracelet. Gavin Smith (right) congratulates Michael Michnik after busting him in fourth place in Event #44 ($2,500 Mixed Hold'em). 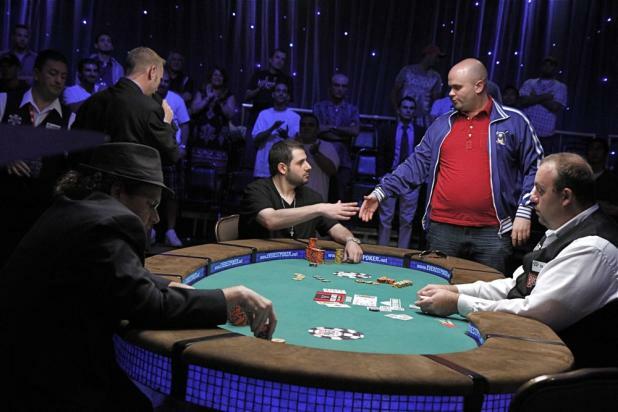 Michnik had been all in preflop with Q-J offsuit, but Smith held pocket kings (K-K), and they held up to win the pot. There are 1400 entries in the photo blog.